There is nothing I love more in the world than watercoloring. It's truly my favorite. But life just gets crazy most weeks, and sometimes you need an easy way to make a beautiful birthday card. That way came to me in January, in Phoenix, when I basically melted into a puddle of joy at the Alexandra Renke booth. This was my introduction to her incredible art, and I literally screamed. Everything she makes is so incredibly beautiful, I kept going back to the booth over and over to stare at her stunning watercolor images on her paper, and on her teeny, delicate dies. Her style is so unlike anything I've seen before that I was just in amazement. I spoke to her then about possibly doing a hop with the MISTI Design Team and she said yes, at which point I almost fainted dead away. She curated a package for each of us, and I got to see them all before I mailed them out to the team - everything was so beautiful. I can't wait to see what everyone has done. But today, I have to use what drew me into her booth. Her breathtaking paper. This paper gives me everything I love on a card without the hours of painting. There's stunning watercolor, and sweet images, and beautiful, soft colors. And all I had to do was die cut it to have a gorgeous card! First, I cut out the little giraffe from this paper - the little dots are printed on the paper - with my Circle Infinity Dies. I cut another circle from black cardstock for a shadow. Then I layered the Balloon design paper onto the card base. It's hard to see here, but this paper has little splatters of watercolor all in the white space. For that reason, I wanted to cut the sentiment from that too so it would match, so I carefully arranged her beautiful Happy Birthday dies - they are two separate dies, so that made it easier - in the white space of a scrap of the paper and cut the words. I cut another set from black and glued them together, not quite aligned. I glued them down onto the card base and added some Like Magic sequins. The card base is Desert Storm. It's so fun to have a simple way to make a card that looks just like I watercolored it. Now I had to have a cute envelope for the card, and she also has GORGEOUS washi tape with her art on it. I had a roll of the circus tape which was perfect for my sweet giraffe card, so I pulled out one of my "ready to rock" envelopes. 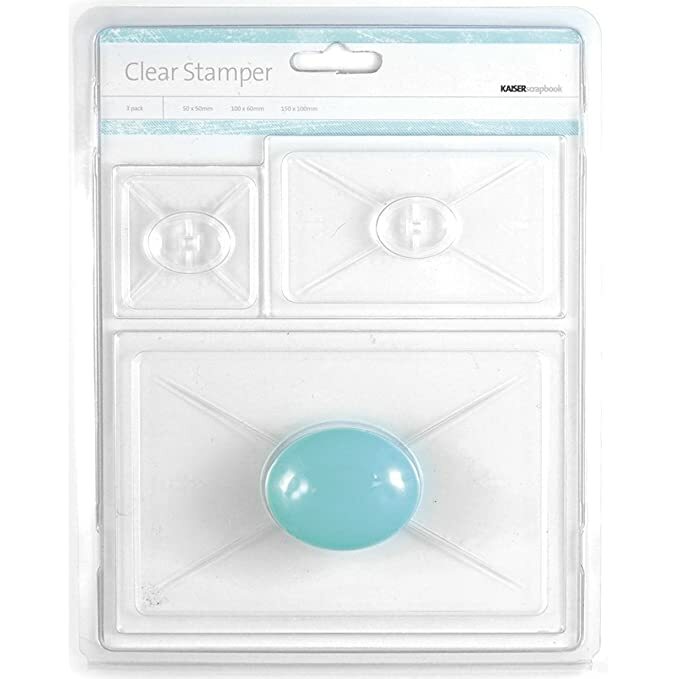 This is a package of gorgeous recycled envelopes that have little flecks of color in them, and I take a whole package when I get them, and put my #lettersforhenry stamp on them as well as a postage stamp. So I always have 50 envelopes ready for just an address and some washi tape - that little bit of time savings makes me mail more cards! But wait until you see my tip for getting perfect washi tape edges. Where have I been, just ripping my tape into jagged tears like an animal? No more! I found an awesome little tool for my washi that I love. This is one of those things like the MISTI that I feel like buying three of in case something happens! Check out my quick tip video on perfect tape, and you'll see a sneak peek of the project I have on the My Sweet Petunia Blog today. It's a cutie. Watch below or click here to watch in HD on YouTube. Nifty, eh? I thought you'd like that. So now - on to the hop! This is toooooo cute a card Lydia ... and I love that tool ... it might get me to use washi tape! Wow, these papers are gorgeous! I love your cards. What a great child's birthday card it would make. Thank you Lydia. Alexandra's paper is amazing. I just want to look at it and frame it. I don't know how any of you cut into it. So cute! Thanks for sharing these lovely papers and products! These products make me melt too! I could eat them, they are so beautiful. Aren't these papers just delightful?! 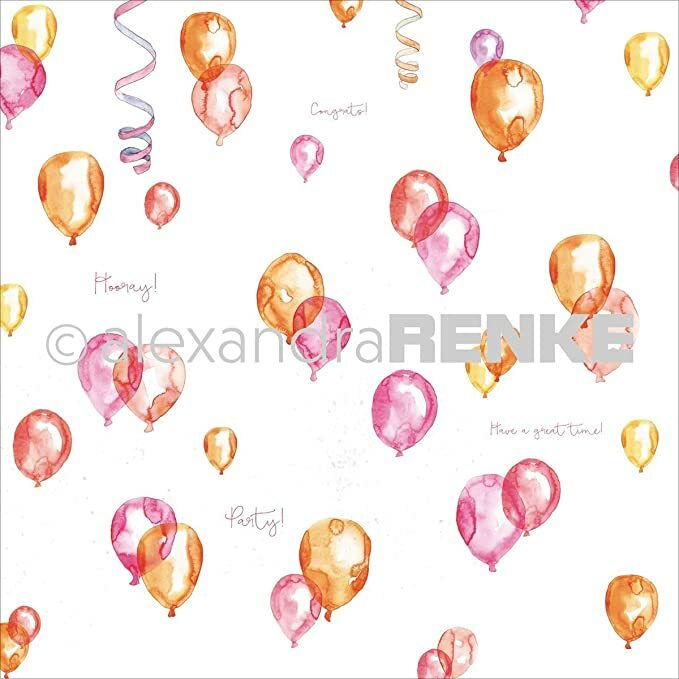 The more I see of Alexandra Renke's papers and washi, the more I love it! Oh my goodness I love this card and her paper is so gorgeous. That giraffe is adorable. Beautiful job and awesome idea for the Washi tape which is also super adorable. Beautiful card Lydia. When I first saw the photo, I figured you created the background because that’s what you do! The balloons look translucent, amazing. I love the giraffe!!! I need these papers! I love the look of water coloring, but I just don't know how (I'm at a kindergarden level! lol). These images are just beautiful and I love your cute card design. This is so sweet! I need some of those scripty diecut words! I love this giraffe card so much! So adorable. And your tip for the washi tape is brilliant. Thanks so much for sharing! Gorgeous card, and that washi tape is adorable! How gorgeous are those papers! 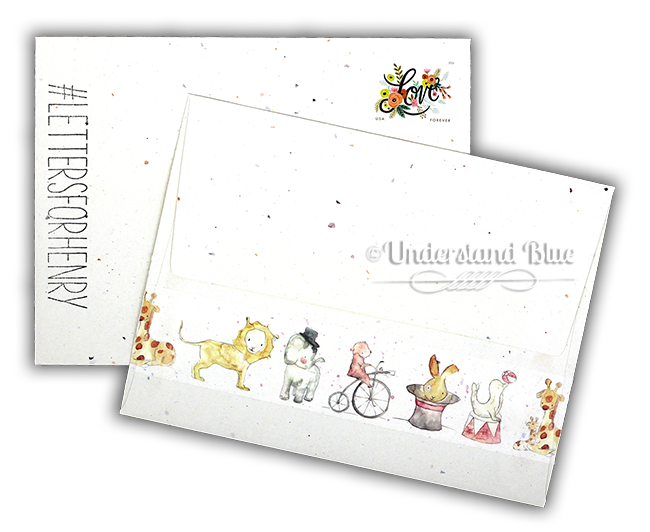 And you worked your magic to create a fantastic (and adorable) card and envelope. How gorgeous are the papers ! Just as your card !! Gorgeous gorgeous gorgeous! Great use of that stunning paper and that Washi tape is so cute!! Love these beautiful papers! Can't wait to get some of the stamps and dies too! Such a pretty card and envelope! AWESOME cards! Really like the different color choices too! 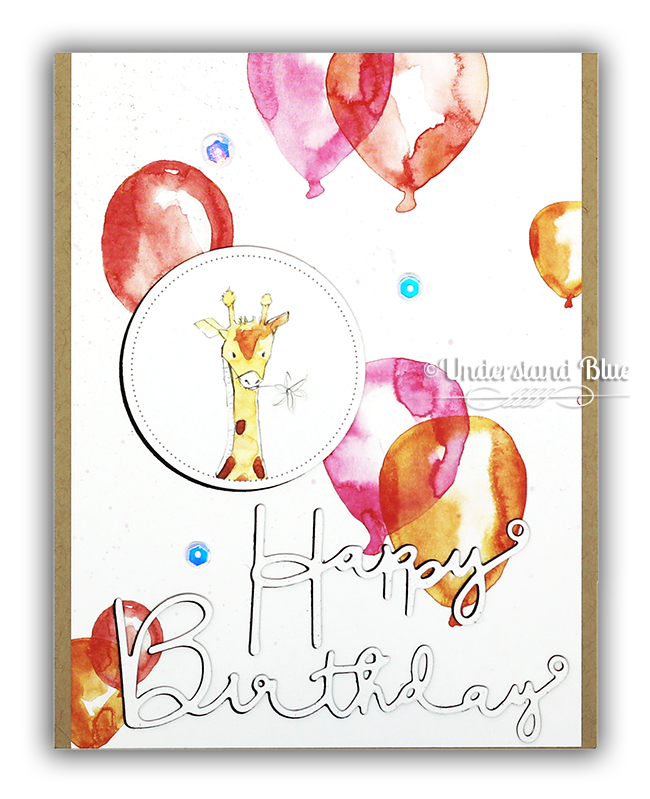 Very sweet Giraffe with balloons! 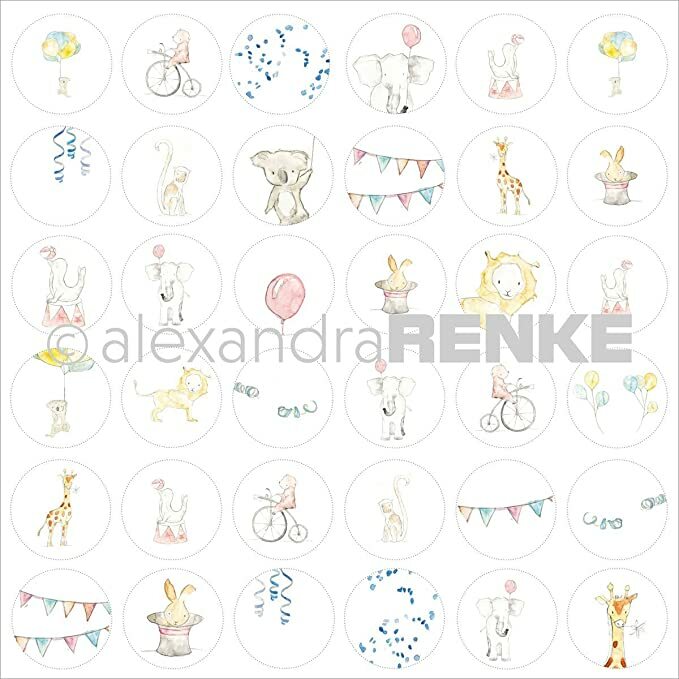 I absolutely love Alexandra Renke's line! Her dies are amazing, but these papers are just stunning as well! I wish more people carried the papers! Une carte particulièrement joyeuse avec ces motifs de ballon & de girafe, j'adore ! Yeah, every hop was ment to be very special, thanks to all. So cute with the giraffe and the balloons. I like the envelope too. Absolutely love this card! Very artsy looking!